I'm the type of crazy person that stays up until crazy hours of the night (err... morning) to make something like this. All I have to say is I'm so glad I married someone that really gets me. 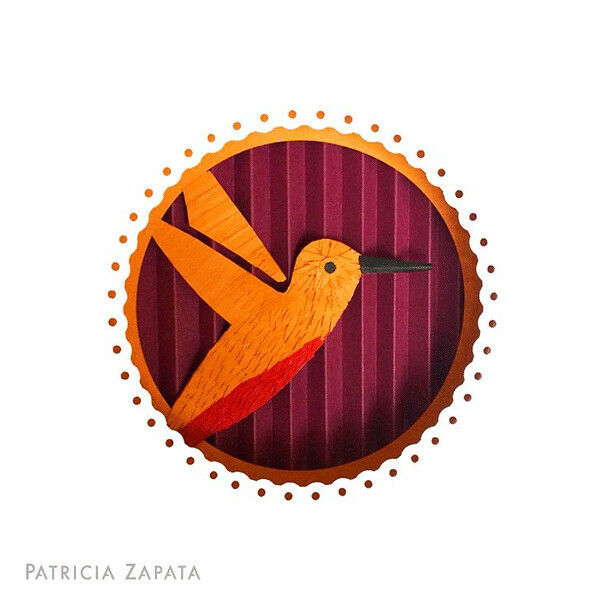 This is an edited version of the hummingbird from my Spring Paper Quilt. The making of the bird was part cutting machine and part handmade. I cut the large pieces with the machine and all the 'feather's by hand. Adding all the hand cut pieces took much longer than I expected but it was something I'd been wanting to try for a while. A good movie kept me company. I have a habit, when I have a production heavy project, to have a movie on (one I've seen before) to keep me company. I don't know why, but it helps pass the time. It's pretty amazing what a little texture can do to an image and it's the best way to use scraps. You can use any shape and it will just feel like it's popping off the page. Try it!